Fox Grant are delighted to have a number of superb equestrian properties on the market at present. We’ve selected some of the best, from an equestrian farm in Somerset with its’ very own gallops to an equestrian centre in Bedfordshire. 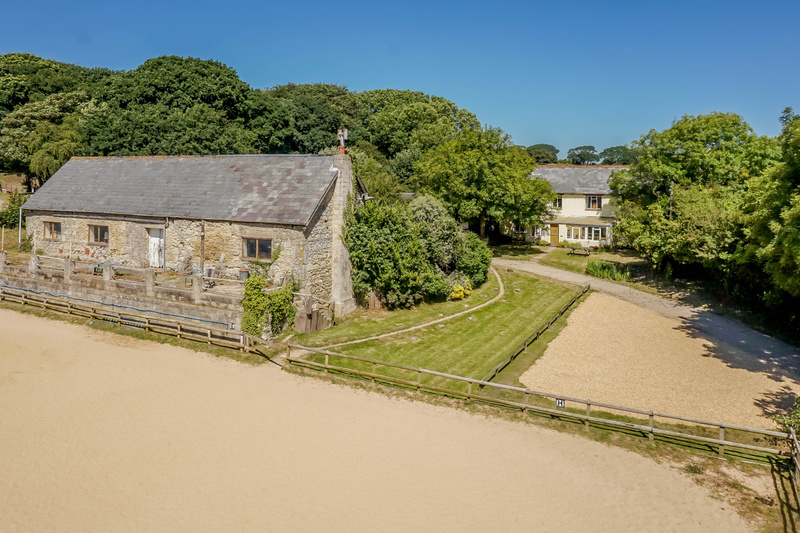 For those looking for a complete lifestyle change we’ve even got an equestrian property with huge potential on the Isle of Wight. If as a child you liked to pretend you had a farm then this will undoubtedly be the kind of farm you dreamt of. 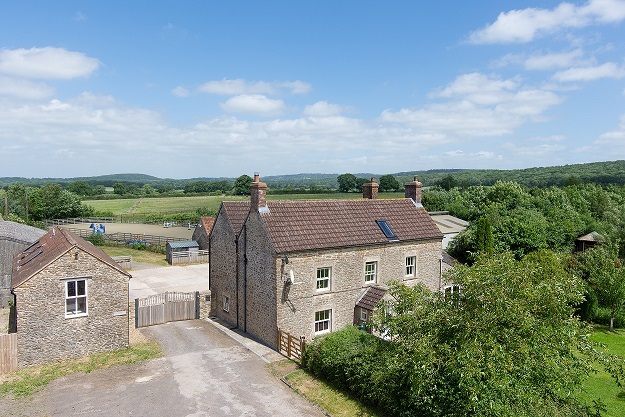 West Forest Farm is an extremely attractive 4 bedroom stone farmhouse with a huge amount of charm set in an attractive rural location. To the left of the main house is a 2 bedroom cottage which would make ideal grooms accommodation or ideal holiday let given its close proximity to Longleat Safari Park (STPP). The equestrian facilities at West Forest Farm are extensive with both indoor and outdoor school, 25 stables, horsewalker, tack room, 5.2 Furlong Gallop, 52 acres and even a rolling pen. Drews Farm is a substantial 6 bed farmhouse with outstanding rural views, a 1 / 2 bed annexe, pretty courtyard setting and potential cottage / B1 Office. There’s scope to run a holiday lettings business from the property by letting out the annexe, cottage and converting the former red brick cattle shed which is currently used as a workshop into additional accommodation (STPP). 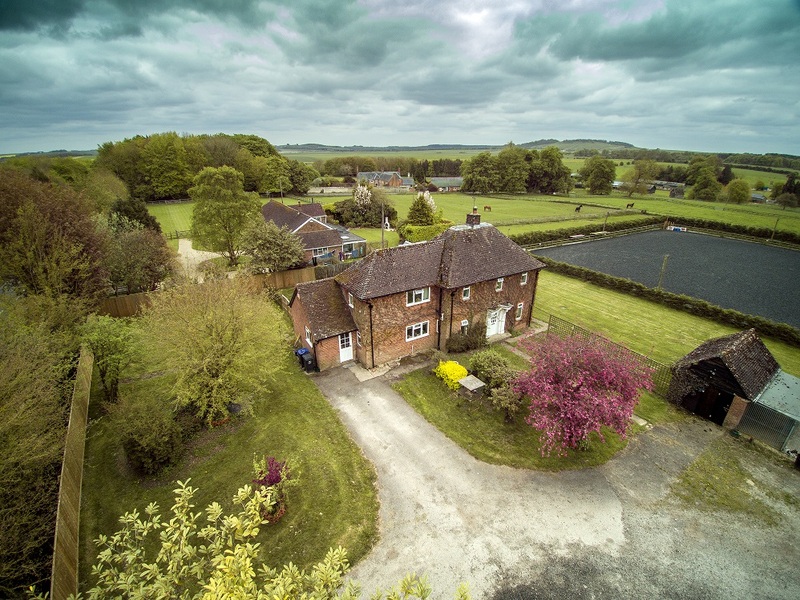 Drews Farm is perfect for the keen equestrian with stables, a 40m x 20m arena, excellent outriding, additional farm buildings and its’ close proximity to Hartpury. If outriding is your number one priority then Quickset House is the equestrian property for you. 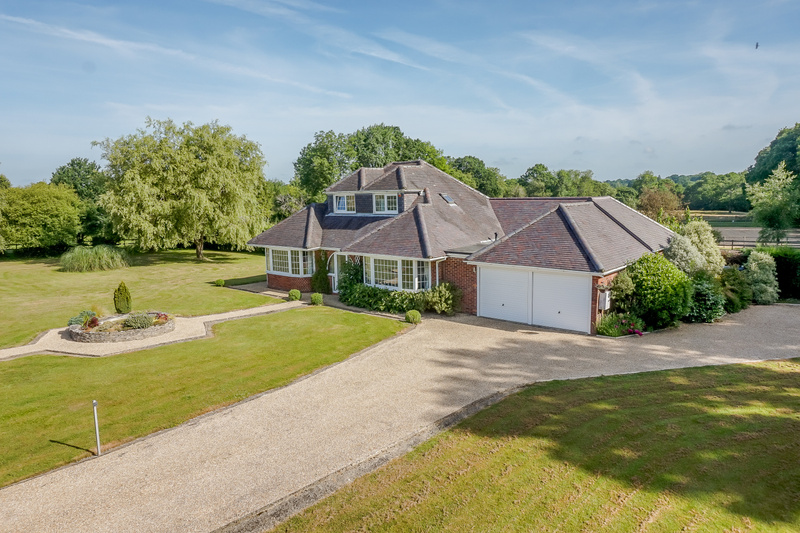 Situated in an attractive rural location within the popular village of Everleigh, the property benefits from direct access to outriding on the Salisbury Plain. Quickset’s Equestrian Facilities are also extensive with a, 50m x 40m floodlit arena with rubber surface, enclosed rubber lunge pen, American barn with 9 internal stables and tack room, lean-to comprising 5 timber boxes, mono-pitch pole barn with sheet clad elevations providing 5 timber boxes, open fronted pole barn, cross country course with over 35 jumps and water feature and all weather gallop and jumping lanes. Winsorglen is a charming residential equestrian smallholding set in the delightful rural location of Winsor in the New Forest National Park. One of the most notable features of Winsorglen is the far reaching rural views over its own paddocks and grounds. Recently updated by the current owners, Winsorglen offers spacious and well presented accommodation. Winsorglen has excellent equestrian facilities with a timber stable block offering 3 boxes & a store, 20' x 40' manège, field shelter, tractor & mower store, workshop and double timber carport. The Stables Equestrian Centre in Wilstead, Bedfordshire has been built up by the current vendors into a BHS-approved riding school business and livery yard. The yard is well managed with three freelance BHS-approved instructors offering riding lessons, all who have use of a good range of equestrian 5facilities. Within the main stable yard there’s a timber built stable block with 17 boxes of various sizes, staff room, reception, alarmed tack room and wash room/WC. Outside there’s a large Parking area for customers horseboxes and trailers, another timber built stable block with 10 loose boxes, workshop & storage container, outdoor floodlit arena 40m x 20m with fibresand/ rubber surface and indoor floodlit arena (40m x 20m) with fibresand/ rubber surface. The land is predominantly made up of twelve post & rail fenced pasture paddocks with automatic mains water fed troughs and totals approximately 10 acres. 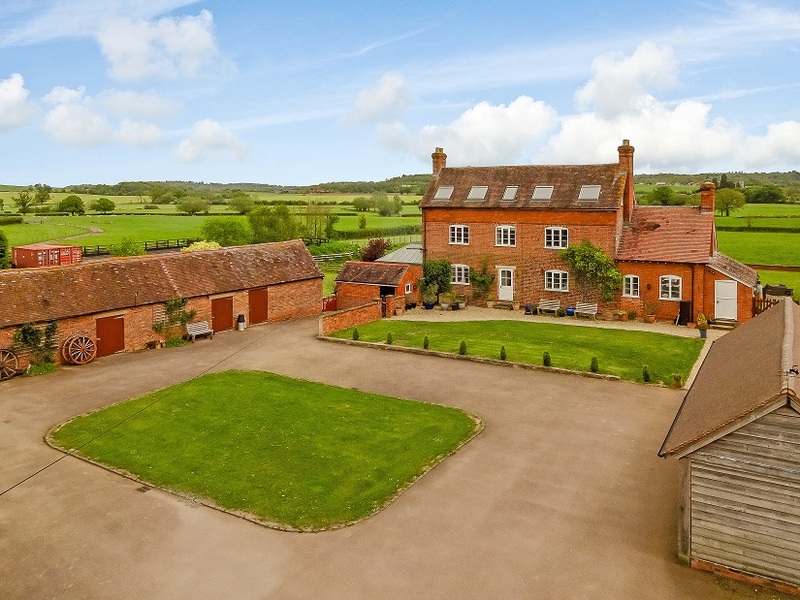 Coneygar Farm is a large 6 bed country house situated in a stunning rural location. The property benefits from a one/two bedroom, self contained apartment offering secondary accommodation for relatives, guests or employees and far reaching views over the adjoining countryside. The stable yard is conveniently close to the house and offers an L-shaped stable block comprising 4 stables, tack room, feed room, hay/straw storage and 5th stable / field shelter. On the edge of the yard is a stone barn which could be converted for Holiday Lets (STPP). Coneygar Farm also has an outdoor arena with sand surface (40m x 25m), hard standing area for lorry parking and separate road access for vehicles. The private and gently undulating land is laid to permanent pasture and divided into useful sized paddocks by post and rail and stock fencing and bordered by mature hedges. The land has good access from the yard, with all paddocks benefiting from mains fed water. In all the land amounts to some 14.7 Acres. Allendale is set in a stunning location just outside the popular village of Godshill. The property is approached via a long drive and is believed to have been built in the 1700's as part of the Worsley estate. The property is constructed of stone and partially rendered and enjoys stunning views over the surrounding countryside. Allendale currently has 6 bedrooms and there’s scope to enlarge, subject to achieving the necessary consents. Attached is a 1 bedroom annexe with kitchen and living room. Allendale has good equestrian facilities including, 4 Timber Stables, 2 x Large Tack rooms and a store. The paddocks extend to approximately 9.5 acres and there is excellent outriding from the property.